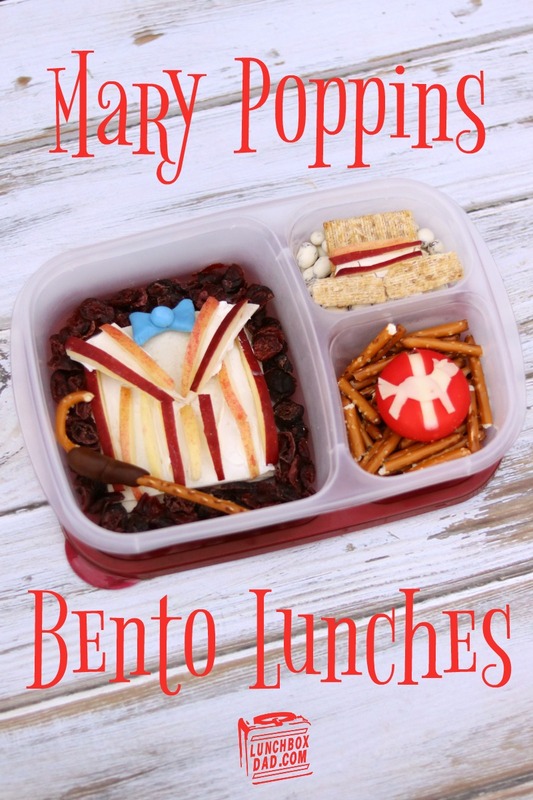 Lunchbox Dad: Two Mary Poppins Jolly Holiday Lunches! 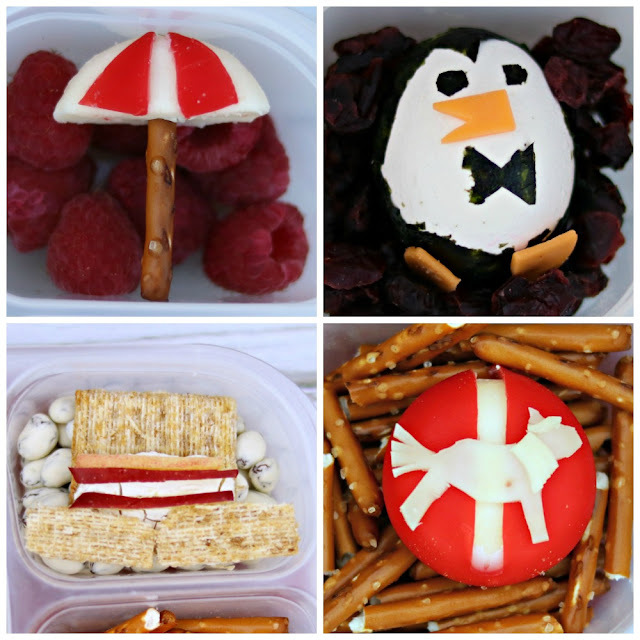 Two Mary Poppins Jolly Holiday Lunches! For as long as I can remember my family has loved the movie Mary Poppins. It all started with my daughter watching it quite a bit as a little kid, and then continued with my two sons. We have the DVD which we used to take on road trips in our old minivan. It was always a fantastic choice to keep the kids entertained and to sing along with. There really aren't many movies that have as many memorable scenes as this one. It was hard to pick just one, but I ended up going with the Jolly Holiday scene. It probably is the best part of the movie, you can debate me on this, but you'd be wrong. Side note, If you ever go to Disneyland the Jolly Holiday cafe is the best place to get speciality coffee. Don't wait in line at Starbucks there, just go to the Jolly Holiday, you'll thank me later. Back to the lunches. These were made in Easy Lunch Boxes. I am going to put the ingredients for these lunches but they are pretty self explanatory, and to be honest I'm kind of tired, so I am going to leave the directions out of this one. 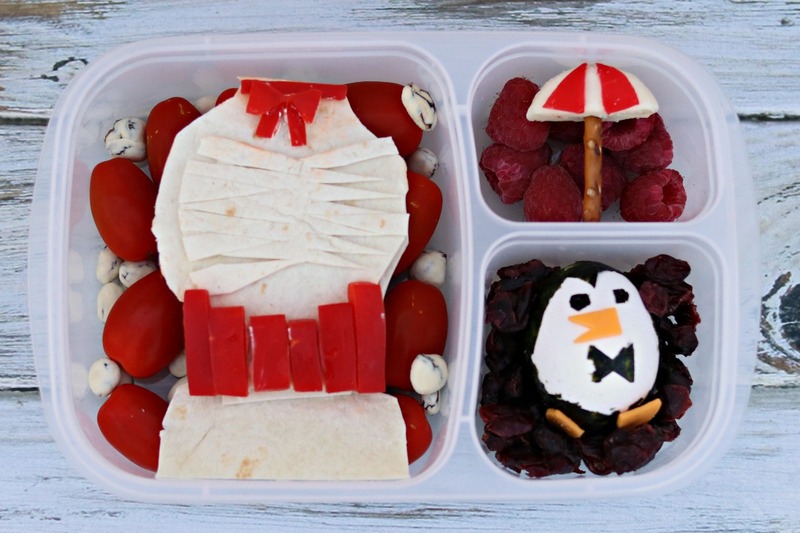 Mary Poppins Lunch: Dress: Tortilla, sliced turkey, cream cheese, red sweet pepper, grape tomatoes, yogurt covered raisins. Umbrella: raspberries, pretzel stick, Babybel cheese. Penguin: Hard boiled egg, nori, cheddar cheese, dried cranberries. 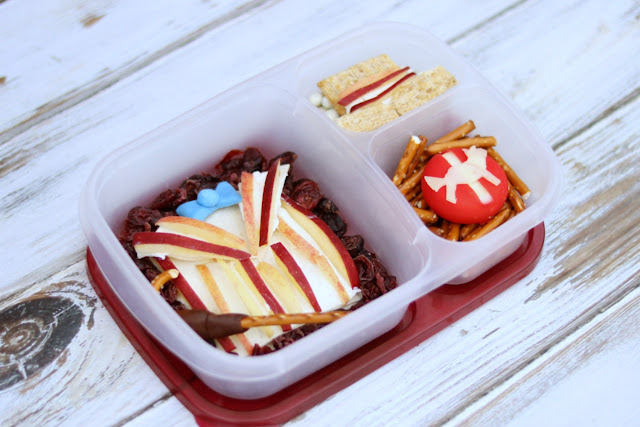 Bert Lunch: Suit Jacket and Cane: Tortilla, sliced turkey, sliced apples (red, orange, yellow), cream cheese, dried cranberries, blue and brown edible modeling dough, pretzel. Straw Hat: Crackers, yogurt covered raisins, cream cheese, sliced apples. Carousel Horse: Pretzel sticks, Babybel cheese.